and Why is it important for your eyes health? We all have been talking about a healthy lifestyle and about healthy eating for quite a long time now and this is good that people actually discuss their health and what they need to do in order to live longer. However, it’s high time that we all start paying heed to other things too that are affecting our health and other body parts. We now need to pay some attention to our eye health too and we all have to take certain measures to protect our vision or else all of us will end up with different ocular diseases among which far and nearsightedness are quite common. 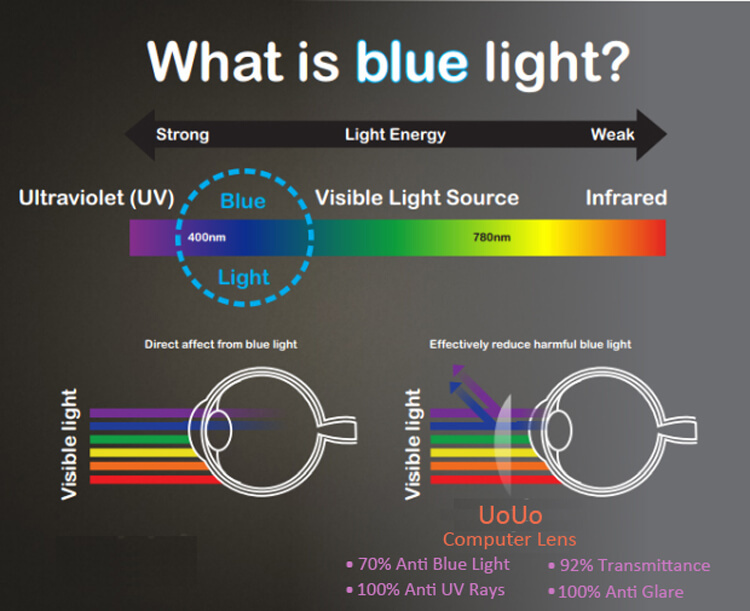 Why Do You Need Blue Light Filter To Protect Your Eyes? Eye health is now an important thing that we all need to consider. The thing is that a lot of people out there are currently suffering through weak vision problems and for that, they are wearing contact lenses and contact glasses. If you look around yourself, you will see that quite a lot of people have the issue of near and farsightedness and the worst part is that these people have to stay dependant on glasses all their life. They can get laser surgery but then again, prevention is always better than cure. The human eye is the most sensitive organ of the body and they need extra care and extra attention when it comes to protection and safety. Right now, we all are unknowingly destroying our vision by sitting in front of our desktops for hours and hours. Almost everyone now owns a mobile phone and all of us use our phones a lot especially when at the night time. Now, all of these little bad habits are continuously damaging our eyes and all the blame goes on the blue light that is coming out of our screens. The visible light is a mixture of colors among which there is this blue light that has the shortest wavelength. The short wavelength of blue light makes it the most powerful light, it is so powerful that even the human eye cannot filter this light. The major source of blue light is the Sun and all our digital devices too. 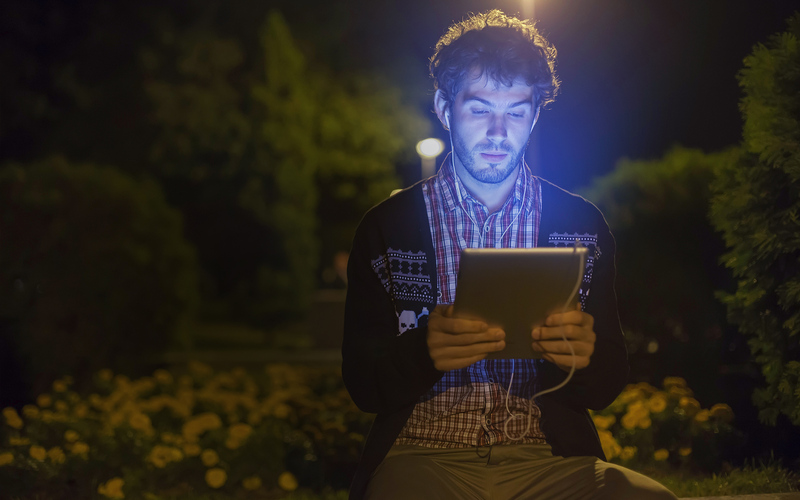 The light coming out of our screens is known as blue light and it is the most dangerous thing to expose your eyes to this light. Now obviously you cannot just stop using your digital devices but what you can do is that you can install a blue light filter on your mobile and your PC too. One of the best blue light filter to date is called Iris. 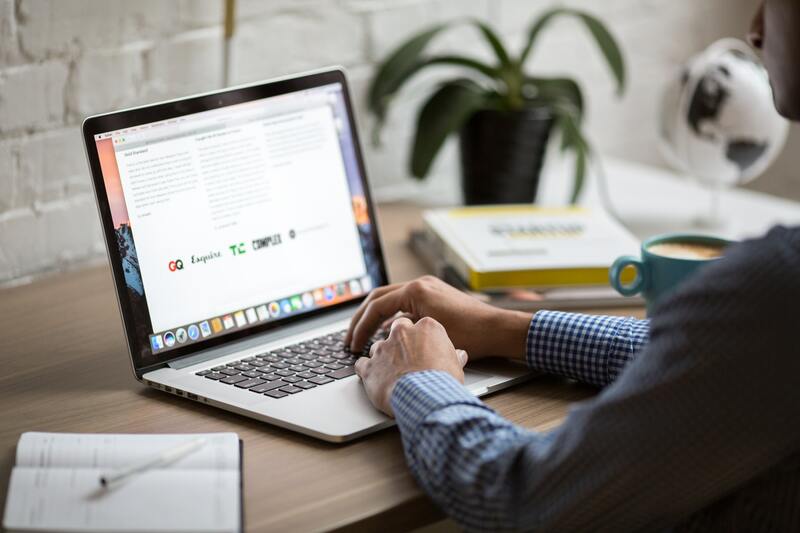 For this reason, Iris will help you make your monitor safe for your eyes and with it, you won’t be able to feel any strain on your eyes and your brain every again. Iris basically is a software that is so intelligent that it automatically detects the light around you and then it regulates the light coming out of your screen accordingly. This in short means that you can now use your laptops and phones in easily even during the night hours without worrying about the health of your eyes. The best part about Iris is that it also helps you in getting a good night’s sleep. 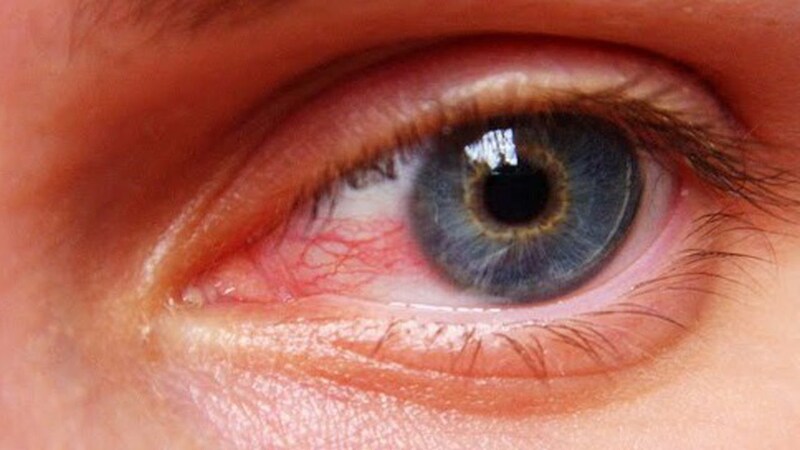 It’s simple to understand that if you won’t feel any strain or stress on your eyes, you then will be able to sleep well as there won’t be any strain on your nervous system. 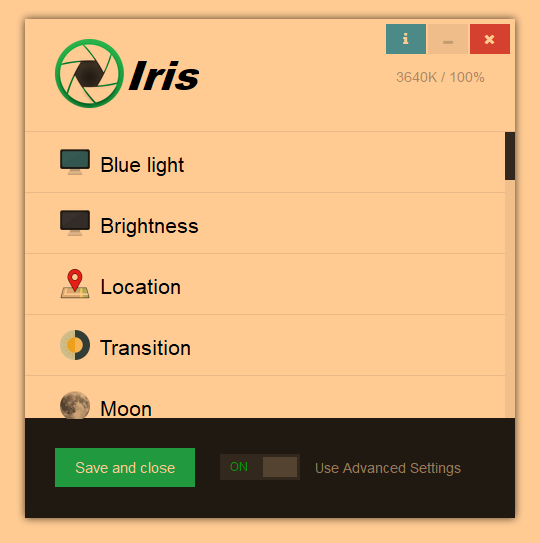 Iris blocks the blue light coming out of your screen and you should definitely try this software if you actually care about your vision.